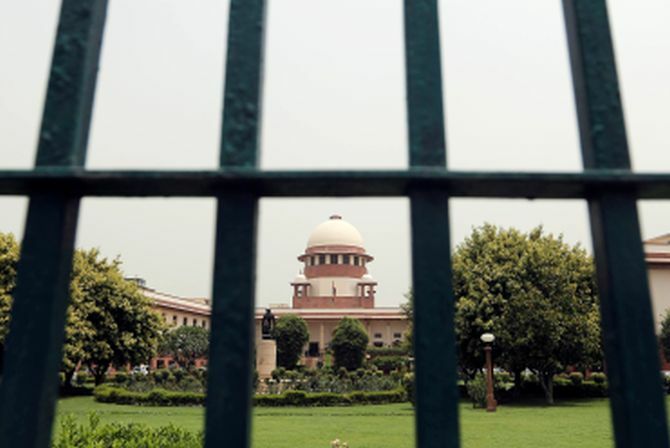 The Central Bureau of Investigation's Special Investigation Team (SIT) on Monday told the Supreme Court that it had filed another chargesheet in connection with the alleged fake encounters by the Army, Assam Rifles and police in Manipur. On July 30, the CBI informed the apex court that its had filed two chargesheets before the competent court in connection with the cases. During the brief hearing on Monday, a bench comprising Justices Madan B Lokur and U U Lalit asked the SIT to file its next status report in the alleged fake encounter cases by September 1. At the outset, the bench perused the status report filed by the SIT and observed, 'one more chargesheet appears to have been filed'. "That's right," Attorney General K K Venugopal told the bench and said that a charge sheet has been filed in the case by the probe agency. To this, the bench said that another case 'is coming up for hearing on September 4. We will take it up on September 4'. "There is some disconnect in getting the documents. It is not clear as to how many FIRs are there against the armed forces," the amicus said, adding that 'cooperation is needed as far as handing over of documents are concerned'. The court had on July 30 said that the matter involved the issue of 'life and death' of people and asked the CBI's SIT to expeditiously complete its investigation into these cases. The CBI had informed the court that 14 persons have been charge-sheeted in the first two cases for the alleged offences of murder, criminal conspiracy and destruction of evidence under the provisions of Indian Penal Code. The CBI director was earlier summoned by the apex court which was unhappy over the 'unduly long time' taken by the SIT in probing the cases of alleged extra-judicial killings and fake encounters in Manipur.